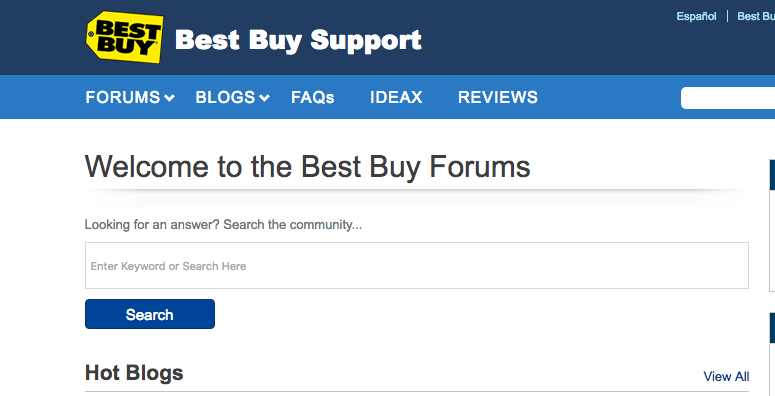 What do you think the BestBuy community wants you to do? They want you to search for an answer. What is the primary thing you want most visitors (or members) to do when they visit your community? Share what they are working on? Connect with people like them? Put this call to action at the very top of your page.